Summer days are here, and with that you all know what comes next... CONSTRUCTION! We have a lot on our plates this summer, beginning with the renovation of Somers Hall South Wing. That work has already begun and is scheduled to finish in time for fall move-in. Be aware we have closed off the housing parking lot during this time to facilitate our staging needs for this work. In Science we will be doing work on Third Floor South Wing, preparing to put a new Sim Center in place for our Nursing department. 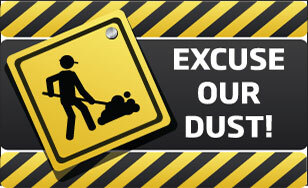 Due to the amount of asbestos abatement we will close off this area entirely during that process. In addition to the renovation work, we will also be adding sprinkler protection to this floor. You will also be happy to know that tuck-pointing has returned. Yes, the sound of chippers and grinders will be going on in various areas throughout campus this summer. Our work has begun over at the Monastery and we will be doing work on Tower Hall, Somers Hall, the Library, and Science at various times this summer. Birch, Willow and Maple apartments will be getting new roofs, so please avoid those areas where they are working. Lots of concrete work will be happening, mostly on the Monastery side of campus. But we're also planning a walk replacement by the apartments, new steps down to the theater from lot 14 and a new front porch for Tower Hall. Much to do and only 90 days to do it all in, so as always, please avoid areas where you see our work progressing and stay safe. Enjoy your summer.